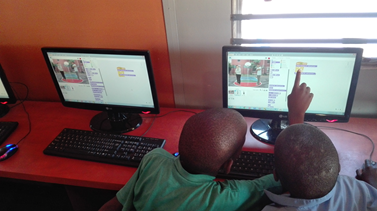 SIYAFUNDA CTC supports and enables community transformation through access to technologies and the internet. 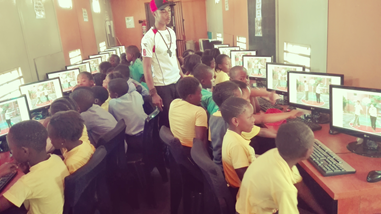 Siyafunda CTC provides information through our community knowledge centres, where people can access computers, the internet, and other digital technologies that enable them to gather information, create, learn, and communicate with others while they develop essential digital skills. The number one benefit of information technology is that it empowers people to do what they want to do. It lets people be creative and productive, and it helps them learn things they didn’t think they could learn before. So, in a sense, it is all about potential. The number one benefit of information technology is that it empowers people to do what they want to do. It lets people be creative and productive, and it helps them learn things they didn’t think they could learn before. So, in a sense, it is all about potential. The United Nations’ Human Rights Council decided in 2012 that access to the internet is a human right – just like access to water and the right to freedom of expression. The UNHRC did not, however, advise on how to overcome the digital divide in our societies. Lack of access to a reliable, fast internet connection is a challenge that is shared by people all over the world – mostly in rural areas, and of course, mostly in developing regions. The root cause might be a lack of infrastructure, but even with optical fibre cables in the ground everywhere, there are still a lot of people who cannot afford to pay for broadband. That’s why South Africa must fight that battle on several grounds at once, to put money and political pressure into developing the necessary infrastructure, and to get the prices down so that people can benefit from it.